Back to school time already? Every summer seems shorter and shorter. 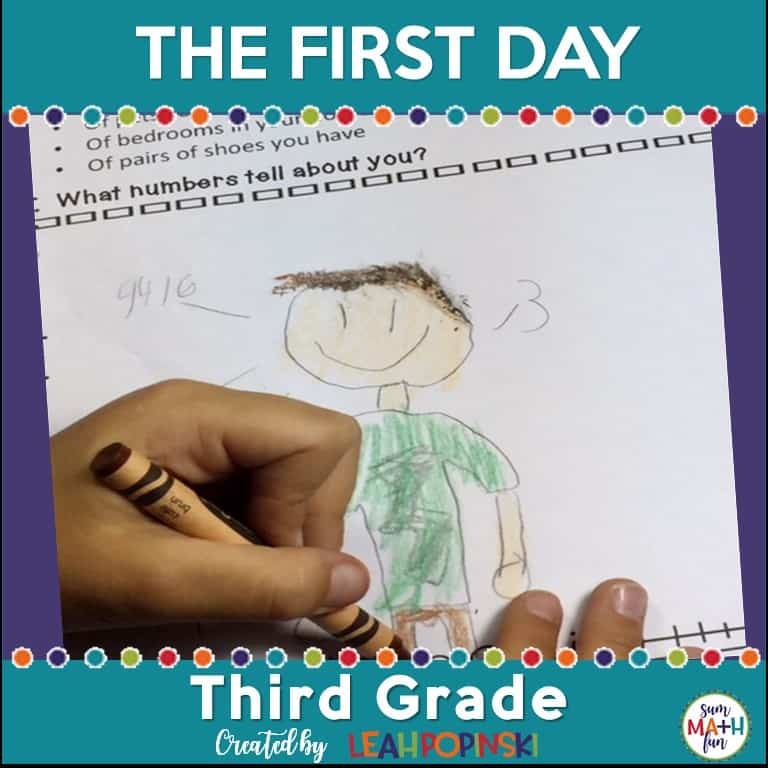 Whether you are a new or veteran teacher, being ready for that first day of school can be quite overwhelming. Planning is much easier after you’ve set your expectations, routines, and procedures. But this takes a while. So, that first day, or even week, is a time to get to know your kids and establish routines to build relationships and a class community. 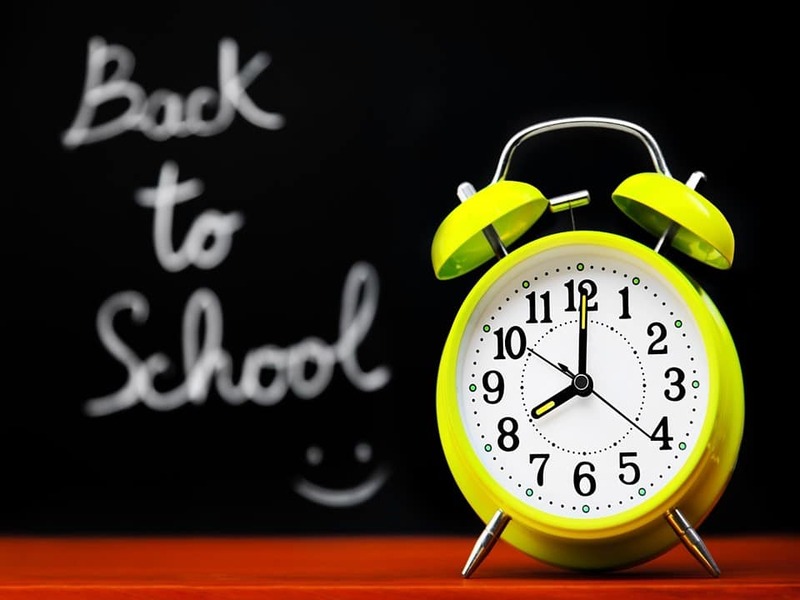 The first few back to school days have to be planned to the minute. And then, you need extra resources ready, just in case! 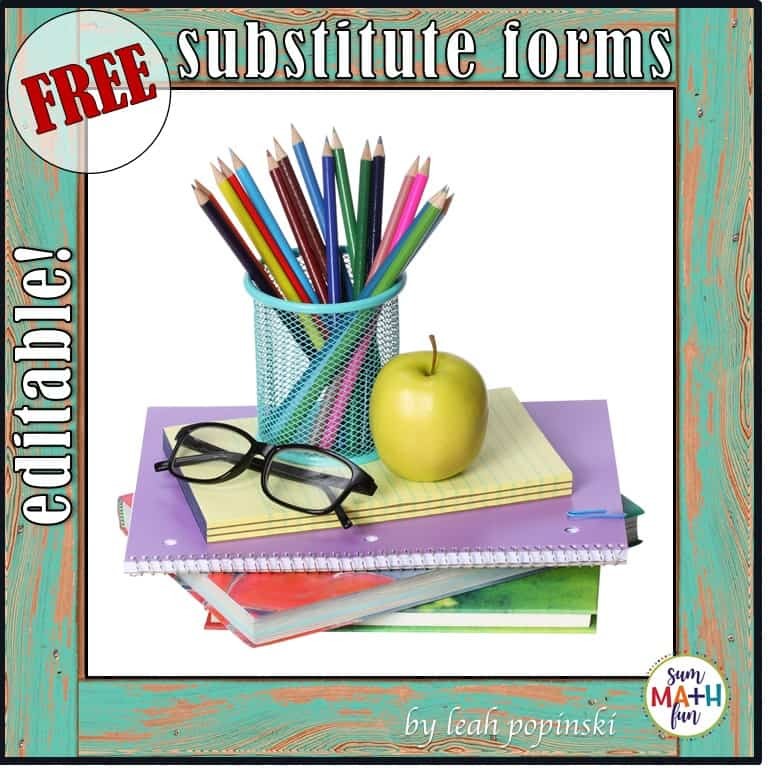 You need a Back to School Packet that is so-o-o-o engaging that your kids will be busy – engrossed. 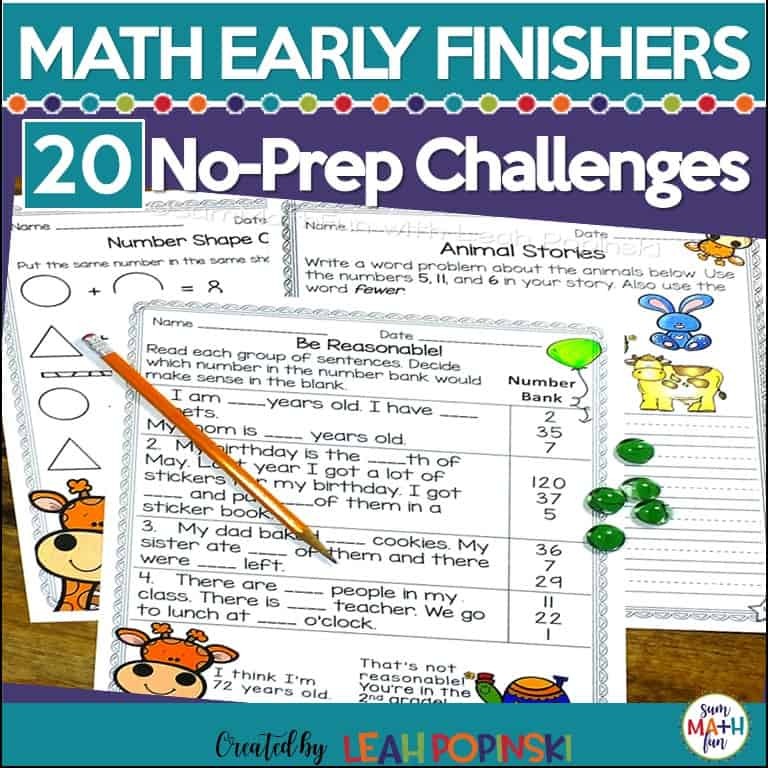 They have to be able to complete it independently because you have a gamillion teachery back to school things to take care of – not including your kids!! Are you ready for that first back to school day? I love them! 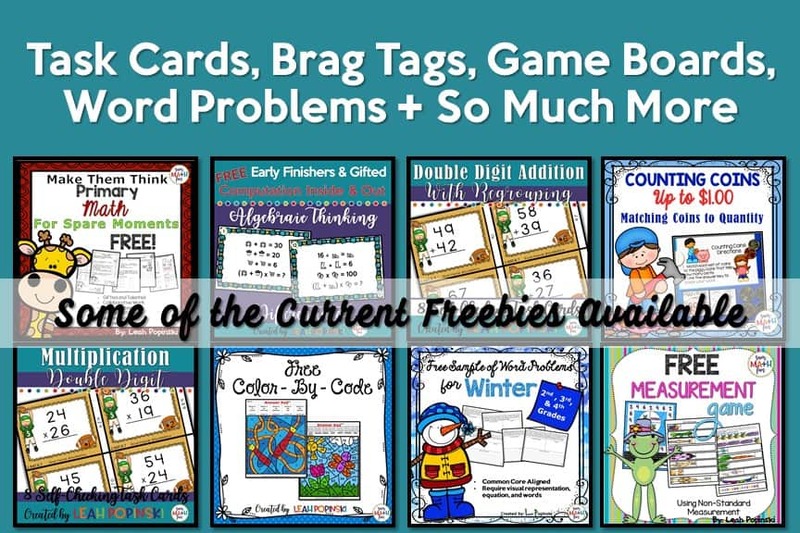 They are filled with no prep back to school printables. There is no-fluff, but they are still fun and truly engaging. 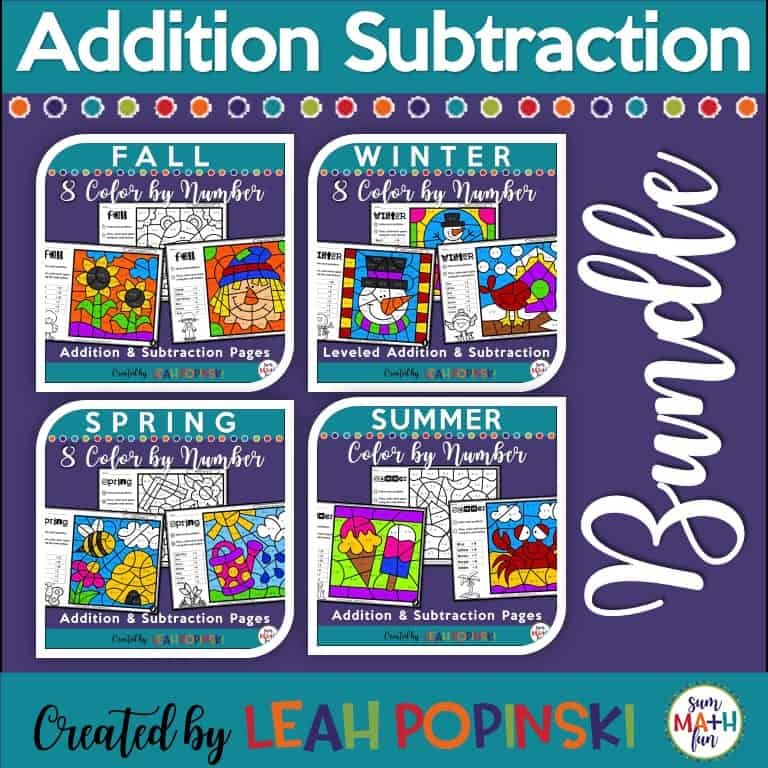 I created back to school math packets for 2nd, 3rd, and 4th grades. Each Back To School Packet will give you peace of mind and time to do alllll of the other teachery things you have to do to get ready. Just print and have them on their desks ready to go. That’s it! 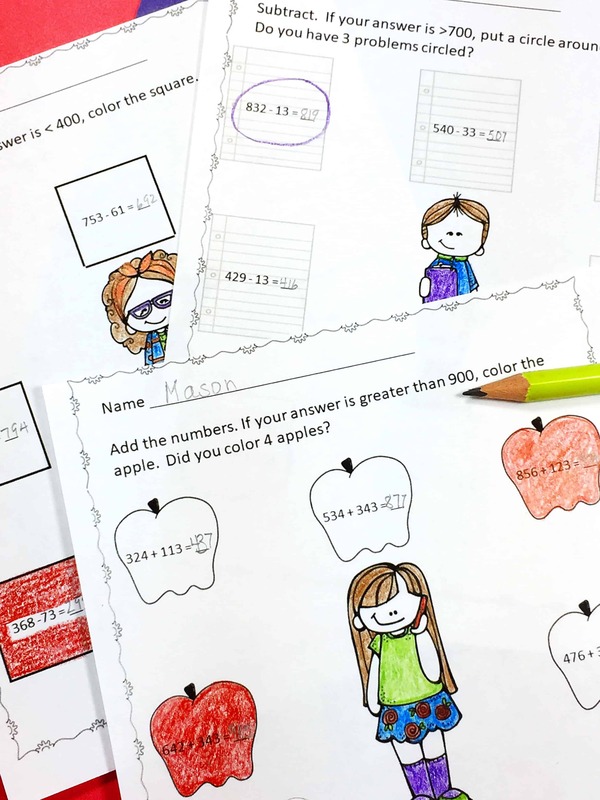 Our kids l-o-v-e these hundred chart activities and they will give you tons of information about your students. You’ll know who remembers even and odd numbers, how many days in a week, rounding, the number of inches in a foot, plus more. 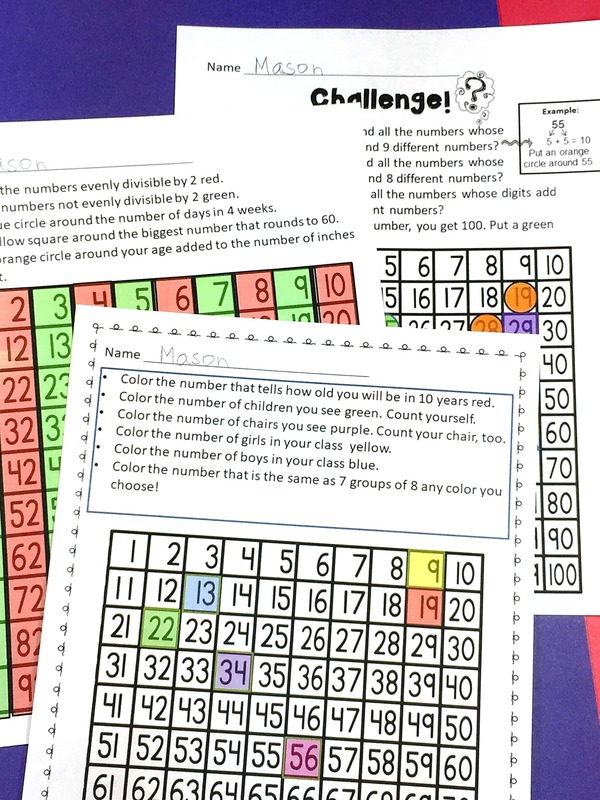 The back to school challenge page will tell you which students understand adding the digits of a number to find a sum and then finding that number in the sum of the digits of other numbers. You’ll also know who can follow an example, who knows what “quadruple” means, and who can predict a number pattern. The pages below will definitely tell you who can follow directions. Make note of this as it will be important for the rest of this school year! 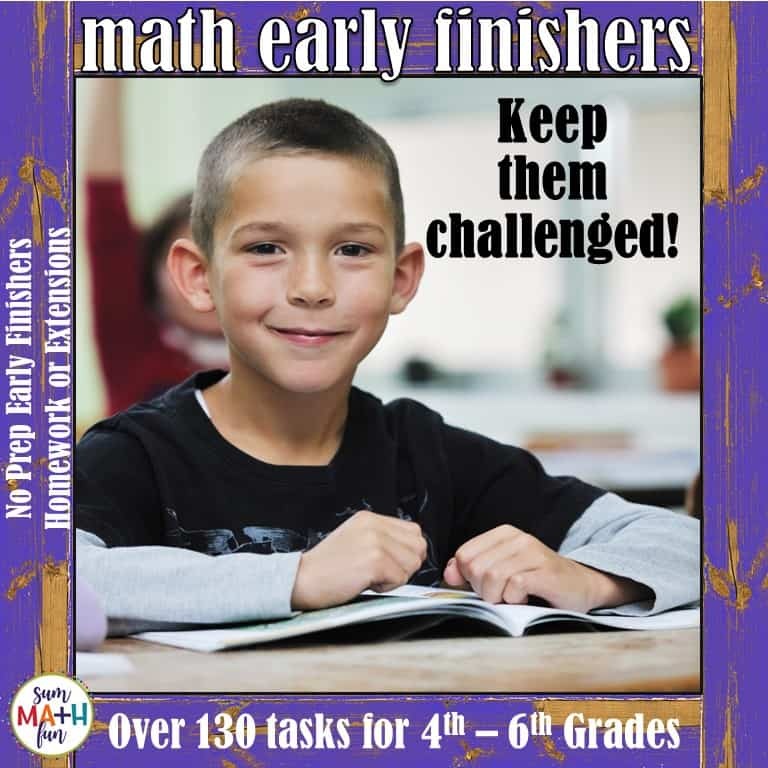 You will also know which of your students are likely to have a good attitude toward math and which ones are good readers. My favorite question is question 12 on page 2! I always LOVE seeing how our kids answer this question. And…I love sharing their answers with their parents. So much back to school fun! This next page is another favorite. Being as creative as we can with our numbers, we model this page for our kids. There are five suggestions given for numbers to use. 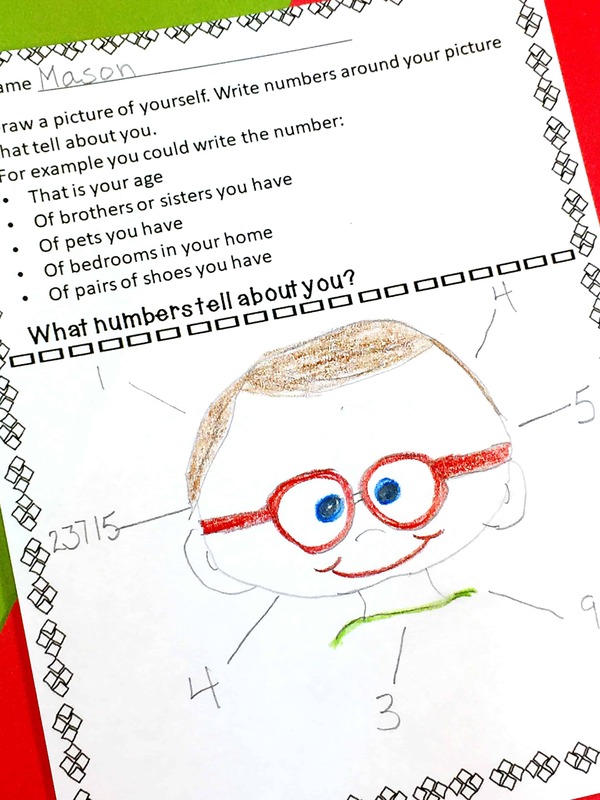 So, I ask students to use at least seven numbers that tell about them. That way, they have to do a little thinking on their own to come up with two more descriptive numbers. This pushes those who are not very creative in that direction. 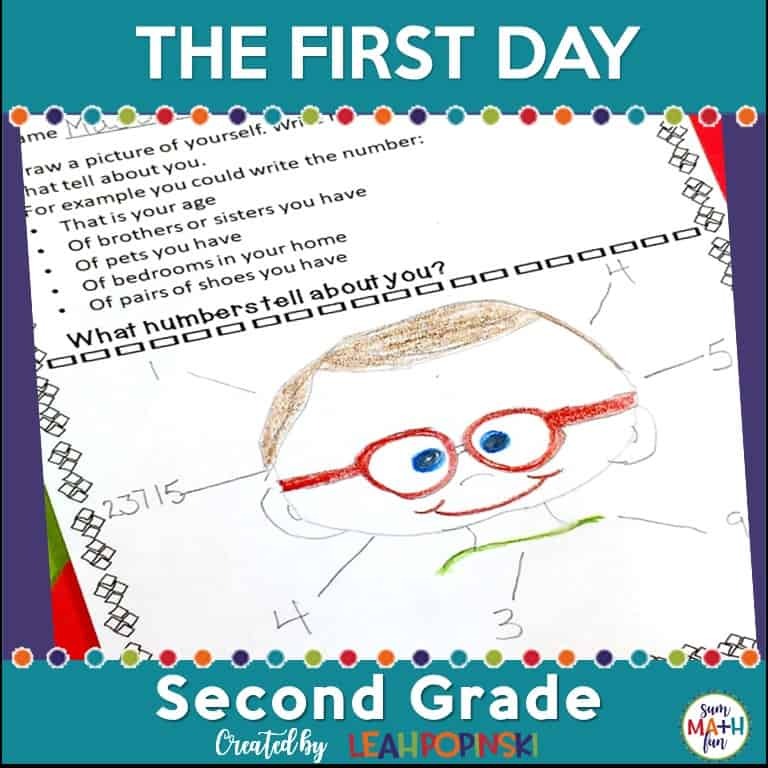 This page makes a really cute display for your Parent or Meet the Teacher Night. It also helps in getting to know more about students on a personal level. 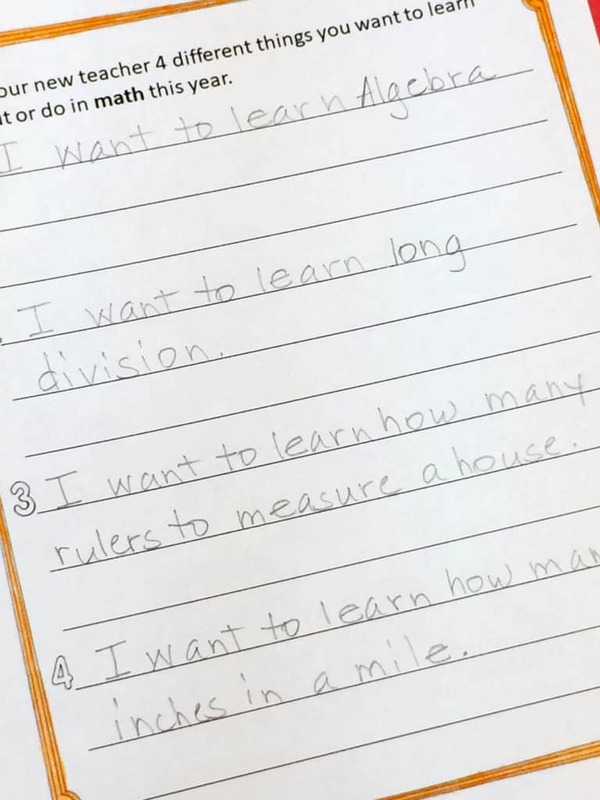 The pages below show the two word problems in the fourth-grade packet. Both problems are multi-step. 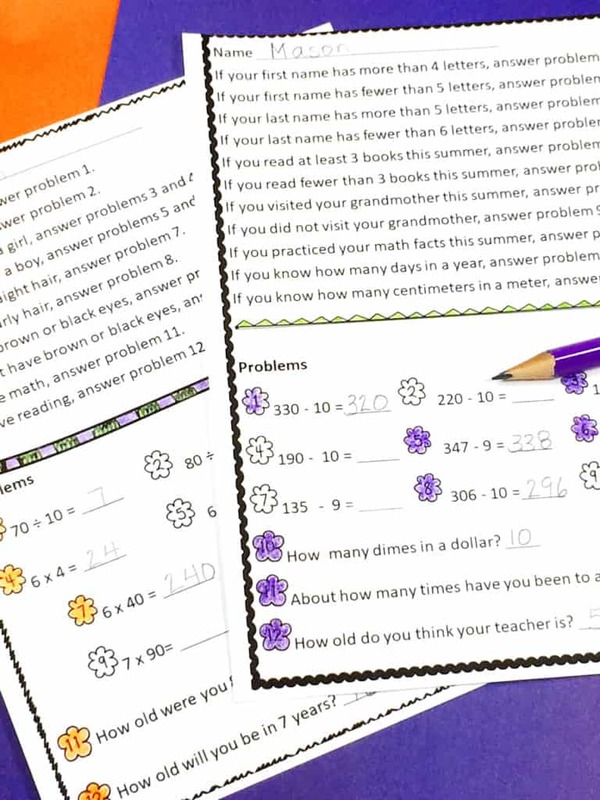 Use these pages to see which students comprehend word problems and make a plan to solve them. Also, note the students who skip or avoid these two pages. Uh, oh! This next page is another great back to school page to display. 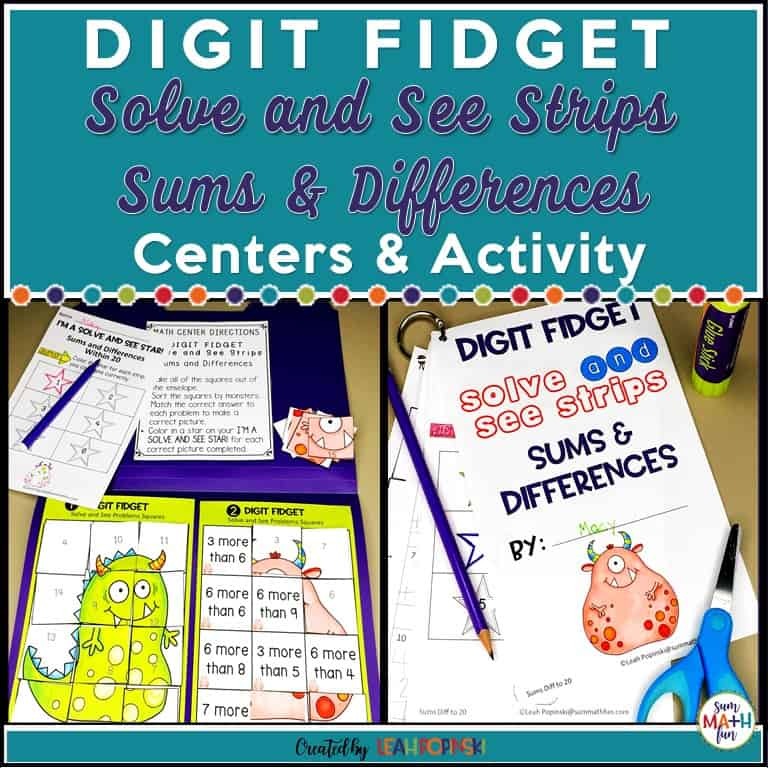 It will help you know more about students’ attitudes and aptitude for math. I’m amazed at the things students are interested in. I took a picture of this student’s work who wanted to know about measurements. 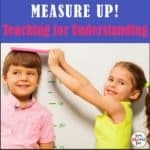 Many times students forget that measurement is a part of mathematics. But not this guy! There are three computation pages. 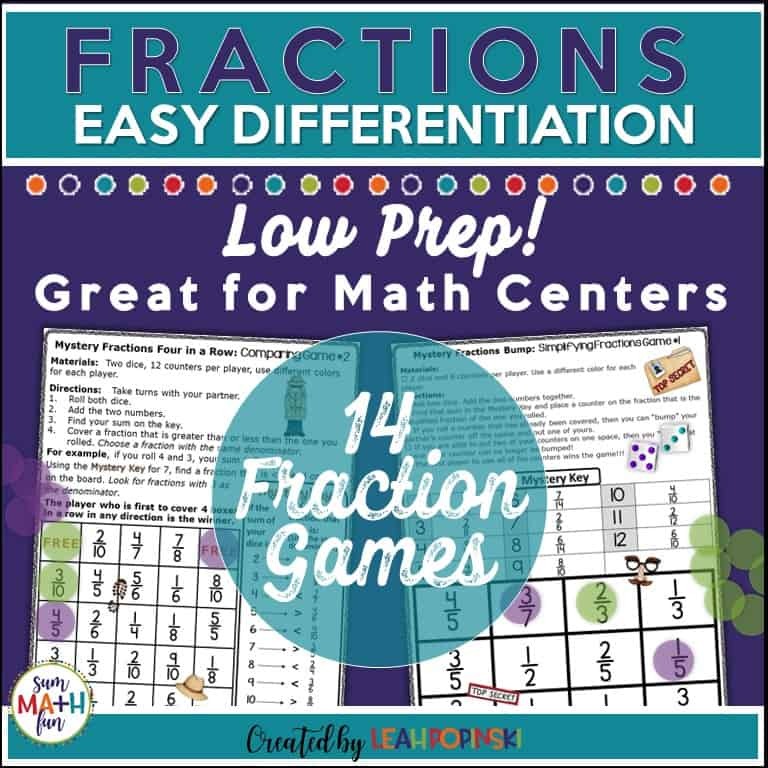 Students should be able to add quickly in their heads the problems with no regrouping. 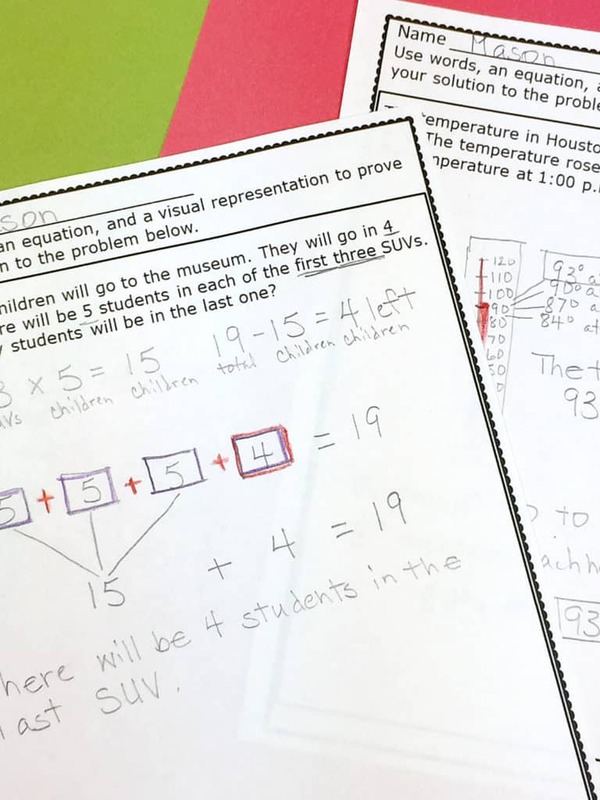 It will be helpful to note which students need to re-write each problem vertically. This is my best-selling resource! That’s fantastic because it helps get all of us + our kids off to a great new school year! Thanks, Jennifer and Kara! It is a wonderful, helpful resource. 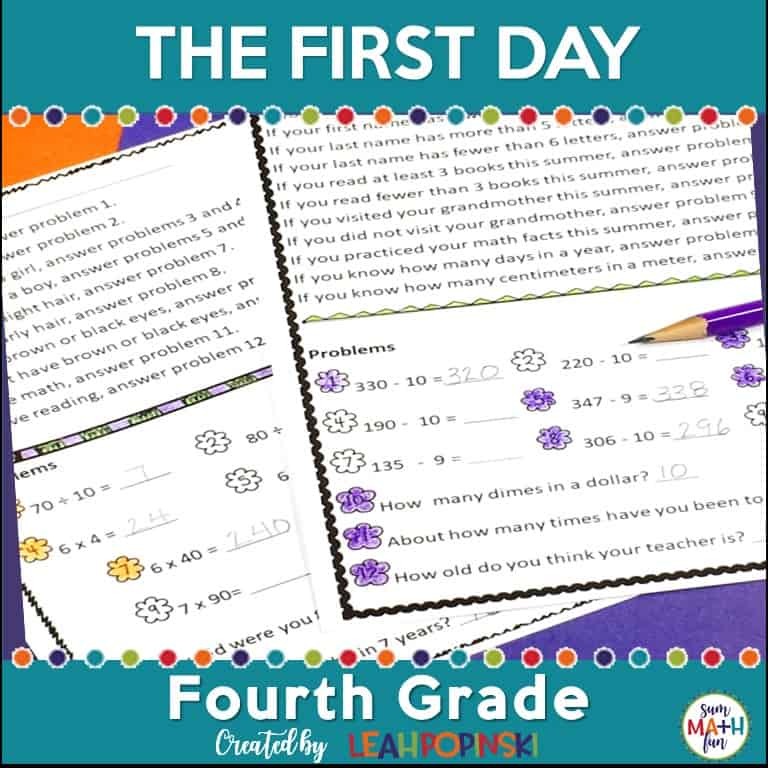 These back to school packets will have you feeling confident and ready for an INCREDIBLE beginning! These B2S activities are awesome. I absolutely love their simplicity yet so very engaging! What a great opportunity to get to know your students! Brialliant. Thank you for sharing! You’re welcome, Lori! I hope the activities are perfect for what you need. Wow! This will make things so much easier!! That’s great, Carmen! I hope they help your first few days run a little more smoothly + save you some teacher-time along the way.